that a company requires for an efficient performance, this would be the basis of the delivered feedback. It is a thorough process divided into several stages: research, spreading awareness, creating an infallible survey, and carefully delivering results. Research is required to determine which competencies are needed for each job title to impact individual and organizational performance. Prior to the implementation of the 360 degree feedback process, an awareness session is highly important to explain the mechanics of the activity to the participants and state its purpose. This allows the company to gain its team members trust in the program, its potential positive impact, and to acquire further cooperation during the implementation. A short and all-inclusive survey is then developed to unveil the participants’ and departments’ strengths and areas of improvement. The results are customized to each individual according to their job position’s requirements and are presented in a constructive manner to allow them to accept the feedback and use it to develop their personal action plan. It is a step by step strategy that will guide them to enhance or develop the needed skills to boost their performance and impact that of their team positively. If conducted correctly, such a process can induce a significant change within an organization. In order for the process to be accurate and non-bias, feedback needs to be provided from an objective multidimensional perspective. It is out of the question for people to objectively assess their own performance due to our own biases – this method allows us to develop further selfawareness: it allows individuals to recognize the aspects of their conduct and performance that they personally cannot detect. 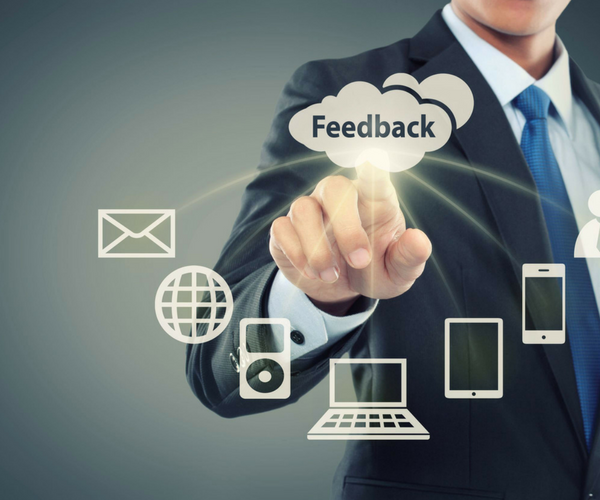 The results of a 360 degree feedback program can be used as forecast tool. For example, if an individual’s results include poor managerial and communication skills, conflicts within his team will be inevitable. If feedback is shared in a constructive manner, it might improve working relationships, encourage personal development, and enhance performance. Is it a Foolproof Process? is highly possible to achieve the desired results. Tamayyaz successfully partnered with several organizations to conduct 360 degree feedback programs and contribute to their growth. Tamayyaz also coaches their team members to set realistic action plans and equips them with practical tools and techniques to achieve further behavioral goals.